Missing teeth problems will not magically go away by themselves; in fact, the problems will just get more serious if they are not resolved as time goes by. What used to be just a missing teeth problem can eventually affect your jawbone, your gums, the rest of your teeth, and your whole appearance. Your confidence level can also take a downward slide as you go through your daily life without the benefit of a complete set of teeth. Do you have missing teeth? Are you thinking of getting implants to solve your tooth loss problems, but are unsure of when you should do so? The best time to get dental implants at Life Dental Implants in London is as soon as possible after you suffer from tooth loss. Time to Get those Implants! 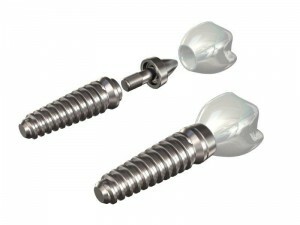 teeth), it is important to have dental implants as a missing teeth solution in the soonest possible time. The dental implants replace the form and function of natural lost teeth, so you do not have to go through a long period of time being toothless. You will not have to endure the embarrassment and discomfort of going through your daily activities with a missing tooth (or several missing teeth), with the help of dental implants. Getting implants soon after a tooth loss will also prevent the onset of bone deterioration. When a tooth is lost, the stimulation provided by the tooth root is lost as well – and the jawbone will eventually deteriorate without this much-needed stimulation. Dental implants stimulate the jawbone so it does not deteriorate and cause problems in the long run.